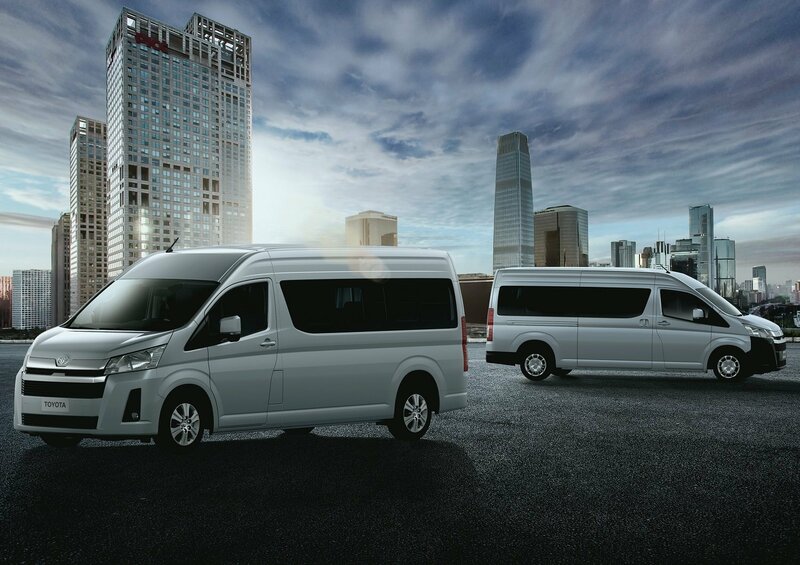 FOR the first time in 15 years, Toyota has revealed a new-generation HiAce van and bus range, with advanced safety features, powerful new engines, and enhanced ride comfort and specifications. A shift to a semi-bonneted design has enabled significant changes, with a stiffer frame, stronger straight-line performance, greater stability and maneuverability and more pliant suspensions. Arriving in Australia mid-year, the all-new HiAce van will be available with two-seat vans in long (LWB) and super-long wheelbase (SLWB) configurations, five-seat LWB crew vans and 12-seat SLWB Commuter buses. Toyota Australia’s VP of sales and marketing, Sean Hanley, said the all-new HiAce will meet the safety, comfort and reliability needs of owner-drivers, private drivers, passengers, fleet and corporate users. “Beyond expanding the vehicle’s core mission as capable, durable and reliable transport, it has now stepped up to deliver the comfort and safety that today’s motorists demand for private use,” he said. The sixth-generation HiAce range will be offered with two new engines – a 2.8-litre four-cylinder turbocharged diesel or a 3.5-litre naturally aspirated petrol, both available with six-speed manual or automatic transmissions. Excellent cargo capacity has been maintained at a maximum of 6.2 (LWB) and 9.3 cubic metres (SLWB) due to longer wheelbases and clever packaging that increases internal width by 215mm and height by 5mm without altering overall exterior width. The SLWB two-seat van is capable of accommodating Australian standard pallets (1165mm x 1165mm) through its wider sliding side doors. The new HiAce is expected to achieve the maximum 5-star safety rating due to its highly rigid structure and advanced safety technologies, including a pre-collision system with autonomous emergency braking and pedestrian and cyclist detection. A reversing camera and up to nine airbags are complemented by an optional digital rear-view mirror that provides a wide field of view, unobstructed by headrests, occupants or cargo. The bottom edge of the front door is lower and comes with a wider step for easier access. Larger front-door glass and a lower belt line improve visibility. Towing capacity has been expanded to a maximum 1,900kg on key variants, an improvement of up to 500kg. Newly developed MacPherson struts at the front provide excellent handling and stability, as well as ride comfort. In the rear, the new leaf spring suspension span has been increased by 200 mm, for improved ride, while enhancing handling and stability. Australian customers have bought more than 330,000 HiAce vehicles. Pricing for the new model will be confirmed closer to launch.